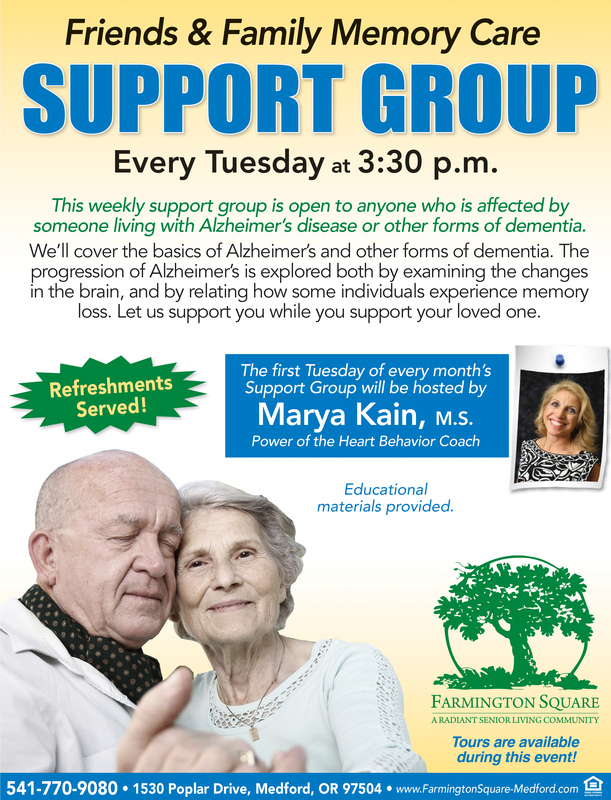 Join Farmington Square in Medford for our weekly Friends and Family Memory Care Support Group every Tuesday at 3:30pm. 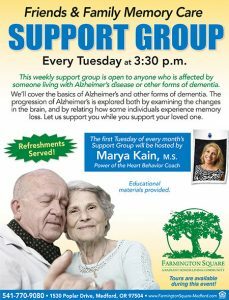 This weekly support group is open to anyone who is affected by someone living with Alzheimer’s or other forms of dementia. We’ll cover the basics of memory loss, the progression of Alzheimer’s, and the experience of memory loss. Let us support you while you support your loved one. Refreshments will be served. All educational materials are provided.